Cross Construction provides turn key demolition and environmental services. CCS has its own specialized demolition equipment and trucking fleet. We have the ability and manpower to handle projects ranging in size from small residential structures to large commercial buildings. 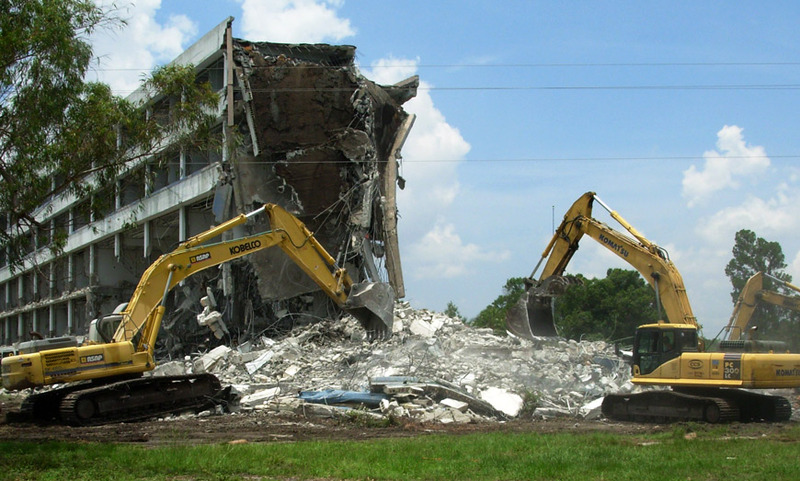 Numerous Government Agencies, School Boards, Municipalities and builders throughout the Southeast have utilized our demolition services. Cross Construction Services recycles and salvages as much as possible to help divert waste from the landfills. Our trained demolition operators raze, separate, and load out structures in the most efficient manner. CCS has been participating in LEED projects since March, 2004. CCS is a member of the National Demolition Association.